Insight into the benefits and practicalities of service assistance and therapy dogs for families with children who have physical disabilities. 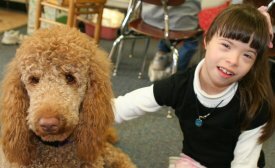 These dogs can be a joy and a wonderful asset for children with disabilities, but the reality may be more complicated than you expect. Dogs and children... if you are anything like me, you believe passionately that this is a combination made in heaven. There is something about the relationship that seems inherently designed for good things. 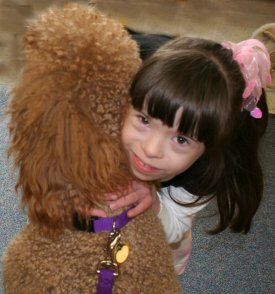 For a child with a disability and all the accompanying challenges most face, a dog can be even more magical. And this is why the idea of acquiring an assistance dog for a child makes a lot of sense and is, on paper at least, very appealing. However, the actuality of such a step is far more complex and much harder than it appears at first glance. Obviously each child presents a separate set of challenges, as does each family situation, dog, disability, etc. So anybody who is at all interested in looking into getting an assistance dog for a child with a disability (or even just a companion or therapy dog) should collect information on their own and not rely on generalities. But, in this brief article, I will address some of the more generic 'realities' about such an endeavor. An Assistance or Service Dog is trained to perform specific physical tasks to assist a person with a disability, such as opening doors, turning on lights, retrieving dropped items, carrying things, and alerting to sounds. These dogs are normally trained and certified by assistance dog organizations and have full public access rights under the ADA law. (NOTE: there have been some cases where the public access rights of assistance dogs for children have been challenged. I am not an attorney or an expert on these matters so I cannot advise about them, but it is something I've encountered in my work in this field and feel it deserves mention here.). A Therapy Dog is trained in basic obedience that provides companionship but does no specific tasking. These dogs are often graduates of assistance dog organizations and especially suited for this work because of temperament. 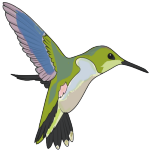 They normally do not have public access rights and work mostly in the home. However, they are often invited to accompany the child into public places. A Companion Dog is a family pet with no specific training or certification. They do not have public access rights. If you are going to adopt a dog, without going through a therapy/service dog organization, the personal injury lawyers at Champion Law Group recommend that you carefully select the dog breed or breeds in its mix. in fact, the lawyers recommend that you consult with a vet or one of the therapy/service dog organizations to confirm that you are choosing a breed or assortment of breeds that offers the characteristics and traits that will best meet your child's needs. something to be afraid of or uncertain about. However, a child with a canine partner, while also seen as 'different' is seen as 'different' in a good and appealing way. So not only does the child have the comfort, security, and benefits of a loyal best friend in their dog, but they often acquire more human friends because of the dog. For children with specific physical disabilities, an assistance dog can provide specified help beyond the companionship. A child who must rely on others for everything (retrieval of a dropped toy, opening a door while negotiating a wheelchair or crutches) cannot develop independence in a natural progression. When this happens, self-esteem suffers and often there is an accompanying fear of being alone that inhibits natural curiosity and exploration. A child who is afraid of falling is less likely to feel comfortable alone in a room, out in the yard, or even going to the bathroom by themselves, but partnership with a dog tends to lessen fear. In addition, an assistance dog can 'alert' if there is a problem (barking for help or actually going to get a parent or other adult). In addition, these dogs are able to provide actual physical assistance to a fallen child (the dog stands close and braces while the child pulls him/herself up by grasping the dog). Assistance dogs and therapy dogs can provide great help during various medical procedures as well, especially when physical or speech therapy is required. Imagine how much more motivated a child would be to walk across a room, in spite of pain, if their best friend is waiting with wagging tail and smiling face. Even in hospitals, assistance/service and therapy dogs can provide great comfort and distraction from unpleasant medical procedures, and are allowed into facilities in many instances. 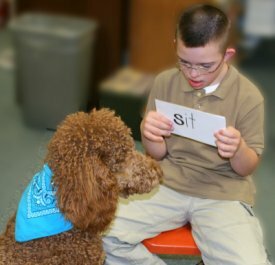 For speech therapy, reading to a dog has been proven over and over to provide great benefit. A child sitting next to a dog, petting the fur, while reading aloud literally lowers blood pressure and other stress factors. When this happens the reading experience is much more pleasant for the child, which means more time is spent practicing leading to improved performance. a source of both great joy and work. and, of course, have conversations with the child (if possible) about how they feel about dogs. This article is, as stated before, a very simplified overview and introduction to the complex and serious concept of a service/therapy dog for a child. Hopefully, it has at least triggered some important thinking, if not specific conclusions. Again, I strongly encourage anybody considering this as an option for his/her child to do a lot more research, including contacting me, if desired. Deborah J. Hall worked as a volunteer for Summit Assistance Dogs of Anacortes, WA (www.SummitDogs.org), a nonprofit organization that provides highly skilled assistance dogs for people with disabilities, including children. During her time with Summit, Deborah worked as Public Relations Director, puppy raiser, dog trainer, and Pre-Application Coordinator which involved fielding queries from all those considering acquiring an assistance dog from Summit. She also worked with those receiving dogs including children, and provided follow-up communication assistance. Currently Deborah co-authors a series of innovative nonfiction children's books about dogs, The Rainbow Series: Dogs Who Help and works with her own therapy dogs in a variety of canine-assisted programs for elementary school students.